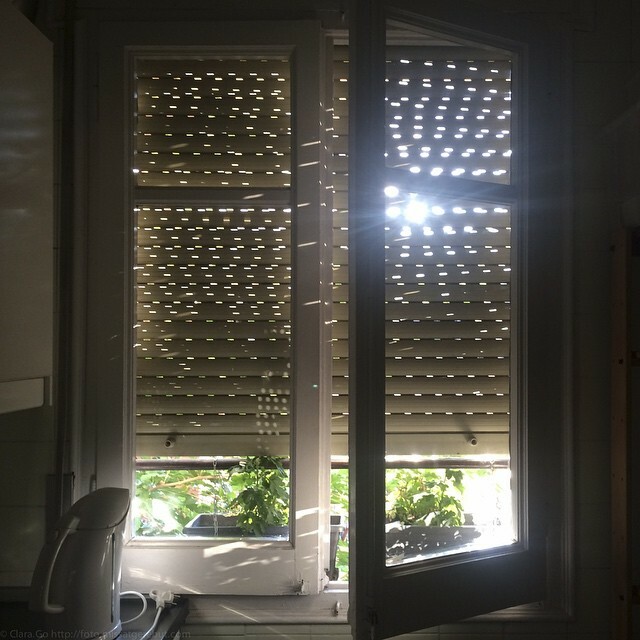 Photo Caption: #iPhoneography #‎Withoutfilters : #PetitsPlaers: Preparing breakfast with blinds down, feeling the warmth of the sun. Preparar-se l’esmorzar amb la persiana baixada, notant la calidesa del sol. #Barcelona #iphoneonly #MagicalDays #Learning #EverydayEverywhere, #EverydayCatalonia #documentaryphotograhy #BarcelonaInspira #PaïsosCatalans #Documentary #catalunyaexperience #mapassionacatalunya #ig_catalonia #igerscatalunya #catalunyafotos #igers #igersbcn #igersbarcelona.